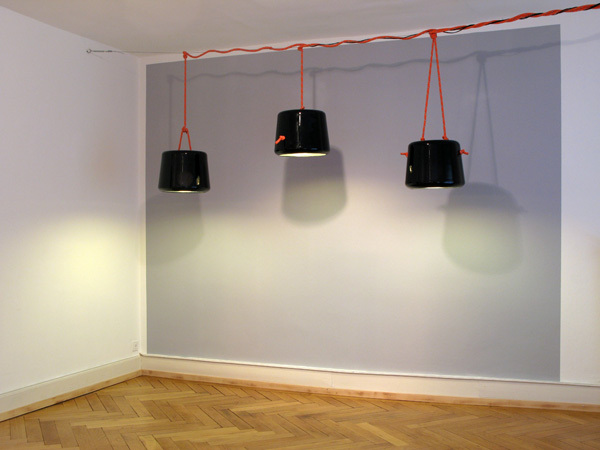 Using the same materials as the "Blow" bowls, a series of 3 hanging lights made of mouth blown glass. The rope is used as the hanging device as well as the way to channel the electrical-cord down to the bulb. The interior of the lamp shades has received a mirrored surface treatment.